Malcom Simms runs with the ball with Michael Castro in pursuit during the Rugby middle school championships at Moakley Park earlier this month. Too rough, and perhaps even too redolent of British boarding schools, the game of rugby hasn’t taken much hold in the United States. 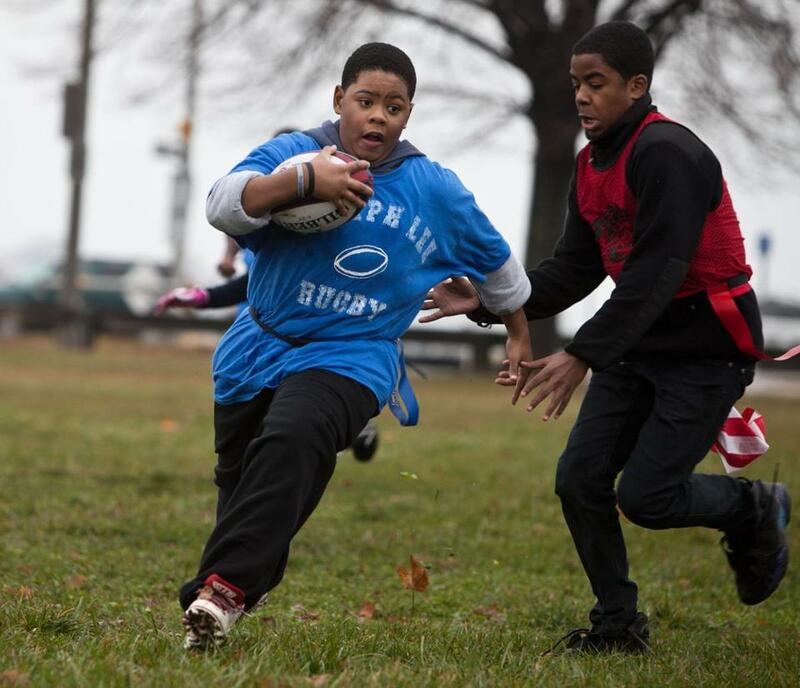 But four Boston middle schools earlier this month played in a first-ever rugby tournament for youths in those grades. In a partnership between the two-year-old Massachusetts Youth Rugby Organization and Citizen Schools, boys and girls from the Washington Irving, Edwards, Orchard Gardens, and Lee Academy middle schools competed in a flag version of the sport more famous in countries like England, New Zealand, and South Africa. One hopes that remains true, especially given recent controversies in Pop Warner football surrounding concussions and overzealous adult coaches. For now, Boston students can revel in a new form of recreation.